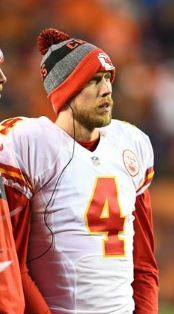 Kansas City Chiefs are “likely” to pass on the option for 2017 with quarterback Nick Foles according to Around The NFL. Foles was expected to make $6.4M. This may be good news to some teams who desperately need some type of quarterback help and with a decent line due to the fact Foles has been sacked 75 times and injury proned. Foles has played in the league since 2012 with three different teams. He has 9,215 passing yards, 56 touchdowns, 27 interceptions and 10 fumbles. NFL | Kansas City Willing To Trade 1st Round Picks To Eagles For Quarterback?